« Do You Need A New Plant? 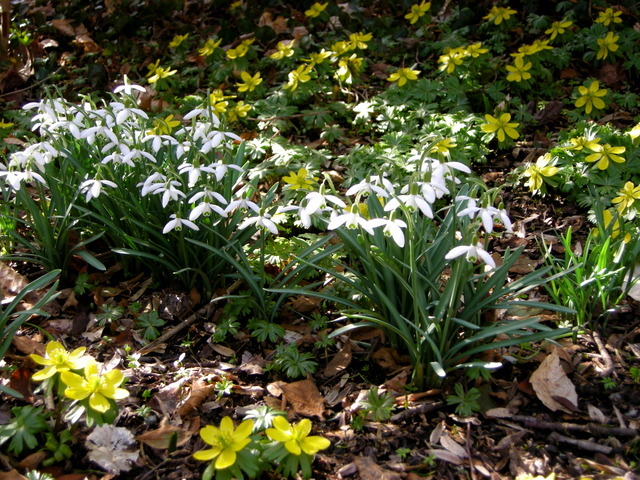 This entry was posted on February 17, 2015 at 3:31 pm and is filed under bulbs for shade, garden to visit, snowdrops, winter, winter interest with tags 'Xmas' snowdrop, andrew turvey, Carolyn's Shade Gardens, galanthus, Galanthus elwesii 'Xmas', Myddelton House, Myddelton House Gardens, snowdrop, snowdrop bulbs, snowdrop catalogue, snowdrop plants, snowdrops, snowdrops andrew turvey, snowdrops for sale, snowdrops for sale U.S., snowdrops in the green, winter interest plants, Winterthur, winterthur gardens. You can follow any responses to this entry through the RSS 2.0 feed. You can leave a response, or trackback from your own site. I was hoping to make it to Winterthur this year but the schedule says otherwise…. Maybe there will be a mellowing out of temperatures in the next few weeks. I like that winter has been steady and no one has been tricked into an early spring, but I sure wouldn’t mind being able to go out back for a stroll! Lets hope for a long spring so we can really enjoy it, and not a jump right into summer. Really sorry to hear about your winter weather. What a blow for a galanthophile! And as you say, the longer before it warms up, the shorter the season will probably be. 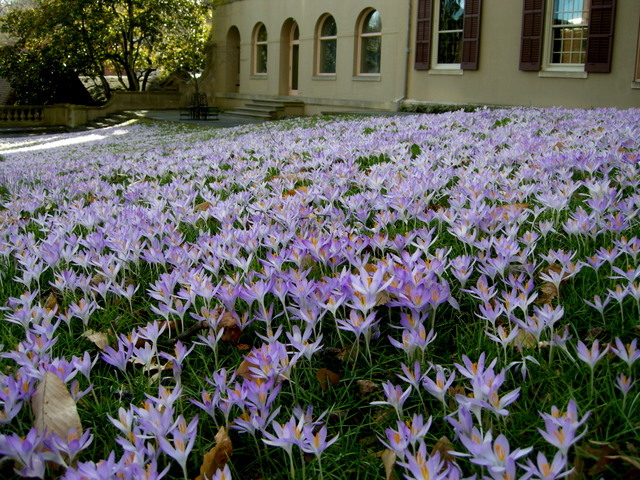 But you may like to know that the Snow Crocus image at Winterthur, which I think you posted once before, inspired us to stop pussyfooting around and get serious numbers of corms planted in front of the house. The first year we ran out, so did a top up last autumn. So we’re hoping for a great display which will improve year on year, and is just kicking off here right now. You certainly manage to tempt some good British speakers over for your meetings! Best wishes from a fairly benign Wales – for now! I am not disappointed, but I have been told that the cultivars are sterile. Let me know what you find out. Really a show at Winterthur. This year really is turning out to be a lot like last year for us. It started with a big snowfall in November, then nothing much until the end of January. Now we are buried. I can see how this is affecting your sales and delivery schedule. I hope you are not in a prolonged weather pattern. I know the lack of snow and higher than normal temps was our problem until late too. Some trees were budded out, hopefully not to their detriment. Spring will tell. Carolyn, When you say “snow crocus” do you mean Tommies? If not, what is the botanical name. They look lovely. We are in a deep freeze as well. 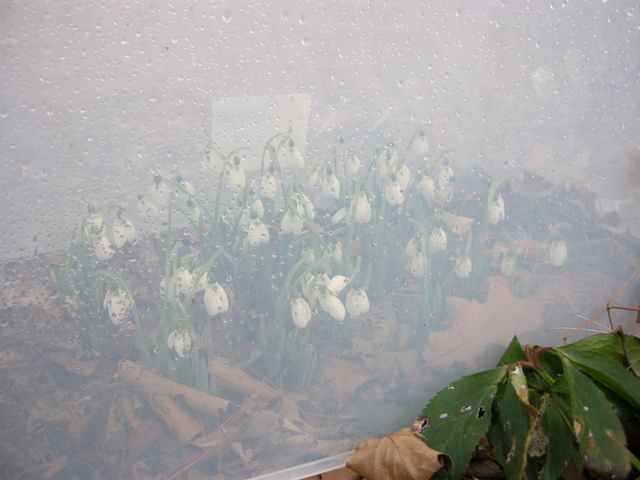 Usually my snowdrops are at least peeking up by St. Pat’s but not sure about this year. Carolyn, I’m glad to see you’ve had some snow. 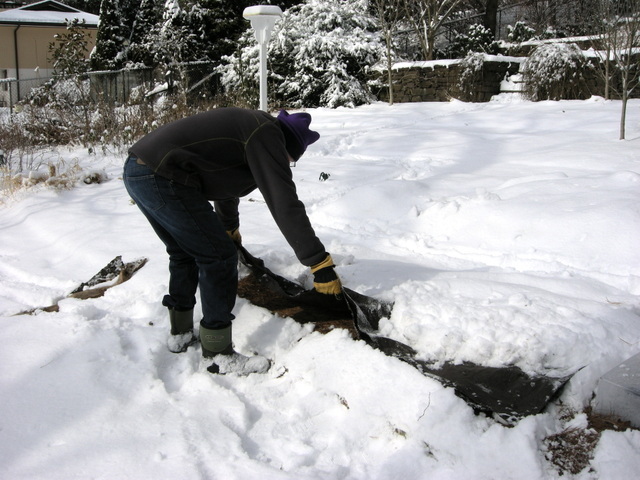 Cold temps with no protective snow cover are definitely the worst combination for perennial gardens. If I had known you were hurting for snow, I would have sent you some of mine! This week, I finally broke down and had my roof shoveled off; it had 4′ drifts in some places. 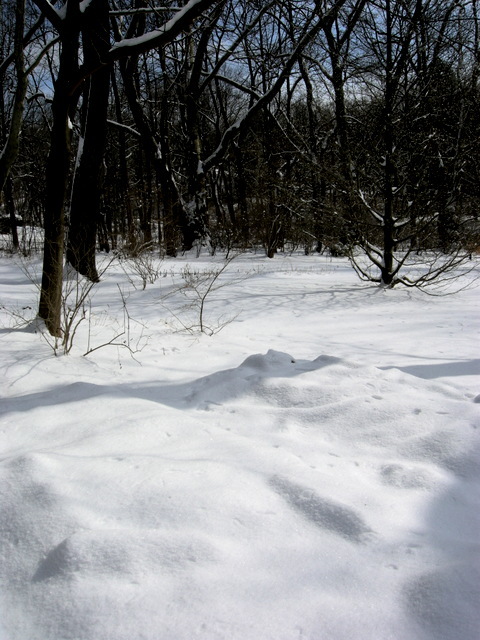 Who would have predicted that global warming would make our winters much colder (and here in New England, snowier)? I think everyone assumed last winter was an aberration, but now we’re forced to consider the possibility that this is our new normal. Carolyn, I dont think I have ever seen Crocus look quite so happy. What a glorious vision for me Carolyn, when I am reading your post it’s almost 20 º C, even unusual for Madrid. Is fascinating to se your care for your plants, I hope you have a great time on March 7th. Your snow looks pristine and beautiful! 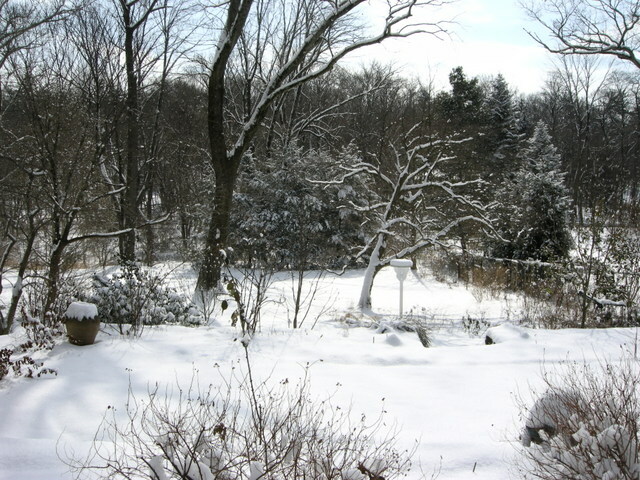 We have had only a brief snowfall, which came at night and melted the next morning. Cold temperatures are still flirting with us; another winter storm is possible midweek here, the day after 70 degree temps! Last year winter lingered on a month or two longer than in years past. It seems that may happen again, but I am so ready for spring!